Entries for the 2017 Stencil Art Prize are now open. 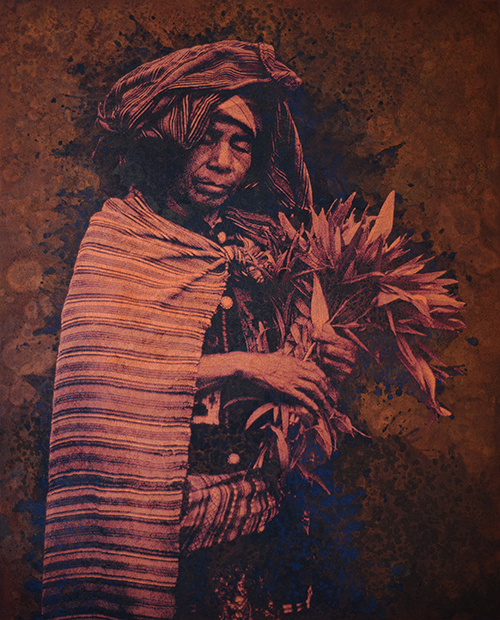 stencil painting ‘Tributo’ which pays homage to the indigenous women of Guatemala. The Stencil Art Prize is the only large scale prize in the world that exists to recognise and reward stencil artists. The Prize originally began as the Australian Stencil Art Prize which ran as an Australian only prize from 2009 – 2012. In 2013, in response to mounting interest from international stencil artists, the organisers of the Australian Stencil Art Prize restructured and relaunched the art prize as the ‘Stencil Art Prize’. Beginning his artist career as a stencil artist in the early 2000’s in Melbourne, Australia, before expanding into other styles of painting – Rone is one of Australia’s most prolific muralists and street artists. Previous judges of the Stencil Art Prize have included Ha Ha, Vexta, Phibs and E.L.K to name a few. Check out Rone here. The Stencil Art Prize is an acquisitive art prize, which means that the winning artwork is kept by the Stencil Art Prize. This year for the very first time, our 2017 finalists will be able to sell prints in addition to their stencil painting. Finalists will be able to sell up to 10 good quality prints of the artwork exhibiting in the Stencil Art Prize. This will enable artists to generate more income and help offset the shipping costs of their stencil painting. Showcasing over 80 Australian and International artists, the 2016 Stencil Art Prize is the world’s largest annual stencil art event. Influenced by the ephemeral nature of street art, these stencil-based works blend pop-culture imagery and global politics to highlight the growing concerns of a social engaged generation of artists. This is the first time the Stencil Art Prize has toured the exhibition, visit Flinders University City Gallery here for more information about the Adelaide Exhibition.